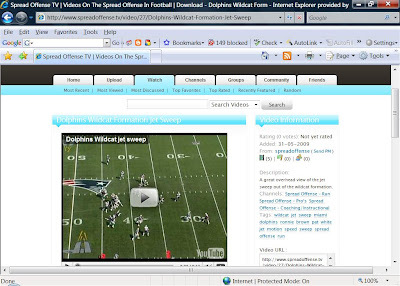 We are proud to announce the third and most exciting part of our spread offense online franchise, Spread Offense TV. environment. The system can accept all online video files, plus YouTube videos. We expect this to be an amazing service for the thousands of spread offense enthusiasts out there... to share, collaborate, and learn what others are doing in the football community with the spread offense.